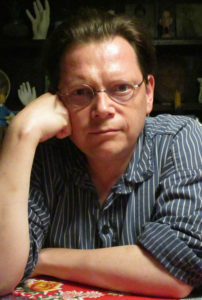 Edward Carey is a writer and illustrator whose books include The Iremonger Trilogy: Heap House, Foulsham, and Lungdon; Observatory Mansions; and Alva & Irva: The Twins Who Saved a City. His artwork has been exhibited in Florence, Collodi, Kilkenny, Milan, London and Austin; his essays and reviews have been published in The New York Times, The Guardian, The Observer, Corriere della Serra, La Repubblica, and other places. In addition to his own work, he illustrates other writers, including Bill Wittliff and Jessica Frances Kane. His new novel, Little, will be published in the US and UK in October, 2018, with other countries to follow. Oscar Casares (Fiction) is the author of the story collection Brownsville, the novel Amigoland, both published by Little, Brown, and the novel Where We Come From forthcoming from Knopf in May 2019. A graduate of the Writers Workshop of the University of Iowa and recipient of fellowship support from the National Endowment for the Arts, his short fiction has appeared in The Iowa Review, Colorado Review, Northwest Review, and Threepenny Review. His essays have appeared in Texas Monthly magazine, the New York Times, the Washington Post, and on All Things Considered. Peter LaSalle’s (Fiction) books include the novels Strange Sunlight and Mariposa’s Song, five story collections—The Graves of Famous Writers, Hockey Sur Glace, Tell Borges if You See Him, What I Found Out About Her, and Sleeping Mask (forthcoming Jan 2017)—and a collection of essays on literary travel, The City at Three PM: Writing, Reading, and Traveling. 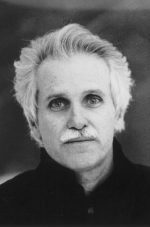 His fiction has appeared in many magazines and anthologies, such as Paris Review, Tin House, Zoetrope, Best American Short Stories, Best of the West, Sports’ Best Short Stories, Best American Fantasy, Best American Mystery Stories, and Prize Stories: The O. Henry Awards. 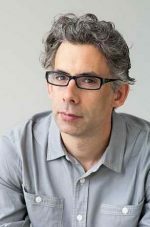 He has received an NEA Fellowship, the Flannery O’Connor Award, the Richard Sullivan Prize in Short Fiction, and the Award for Distinguished Prose from the Antioch Review. Elizabeth McCracken is the author of two short story collections, Here’s Your Hat What’s Your Hurry and Thunderstruck; a memoir, An Exact Replica of a Figment of My Imagination; and three novels, The Giant’s House, Niagara Falls All Over Again, and Bowlaway, which will be published in February 2019. 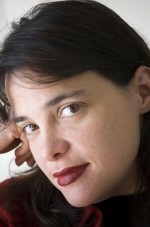 A graduate of the Writers Workshop of the University of Iowa, she has been a finalist for the National Book Award and won the 2015 Story Prize, and has received grants, fellowships, and awards from The Guggenheim Foundation, the American Academy of Arts and Letters, the Radcliffe Institute for Advanced Study, the American Academy in Berlin, the National Endowment for the Arts, and other places. She holds the James Michener Chair in Fiction and is Associate Director of the New Writers Project in the U.T. Department of English. 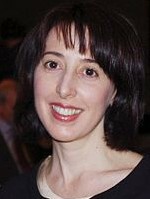 Deb Olin Unferth is the author of five books, including the novel Vacation, the memoir Revolution, the story collections Wait Till You See Me Dance and Minor Robberies, and the graphic novel, I, Parrot. Her next novel, Barn 8, will appear in 2020. Her work has appeared in Harper’s, The Paris Review, Granta, Vice, Tin House, and McSweeney’s. She has been a finalist for the National Book Critics’ Circle Award, and received fellowships from the Guggenheim Foundation and the Creative Capital Foundation. She also runs the Pen-City Writers, a creative writing certificate program at a maximum security prison in southern Texas.